What do you get when you take the most passionate female rock vocalist and pair her with the premier blues guitarist on today’s scene? You get an explosion of soul and raw emotion that’s unheard of in modern music. 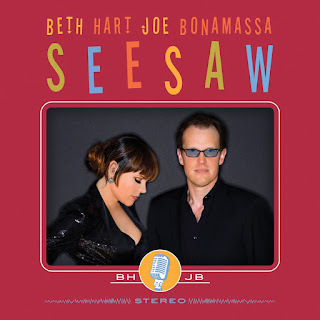 Beth Hart and Joe Bonamassa have undeniable chemistry. “Seesaw,” their second album together, is a collection of covers consisting of mostly obscure songs and a few well known ones by artists they both admire. Bonamassa’s guitar fireworks are the perfect complement to Hart’s voice in these songs, especially during Donnie Hathaway’s classic “I Love You More Than You’ll Ever Know,” which fans everywhere agree is the highlight of this record. Any album from Beth Hart or Joe Bonamassa makes for an enjoyable listening experience but when they join forces, the music touches your soul. I hope they continue to make records together because it’s hard to find musicians this talented pouring their hearts out for the love of the songs.